William Leedecke, a former national president of the 7×24 Exchange, is a nationally recognized leader in establishing data center and service operations for institutions requiring high levels of uptime. He has extensive experience in data center leadership, including building, improving, supporting and architecting all aspects of the compute infrastructure at both domestic and international facilities. William is known for his ability to approach problems from a business perspective and then from the technical perspective, which worked particularly well at The Vanguard Group, a leading financial services company. He helped Vanguard grow from a single 20,000 square feet (SF) data center to an impressive portfolio consisting of two domestic 60,000 (SF) Tier III Plus resilient data centers (primary and secondary), certified by the Uptime Institute, 70 domestic mid-sized data centers ranging in size from 2,500 to 3,500 SF, two international 10,000 SF data centers and 200 technology rooms. Along with responsibility for design management, he also had financial responsibility (forecasting, budgeting and managing). 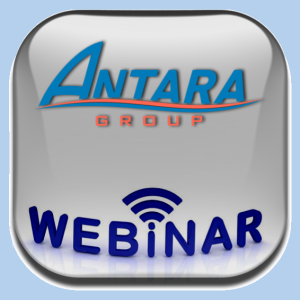 At The ANTARA Group, the combination of his uptime experience with his business perspective will be helpful as data center clients seek a solution that will meet their IT infrastructure requirements. Private equity firms will appreciate his knowledge as they work through their due diligence efforts. William has B.S. in Education from West Chester University. 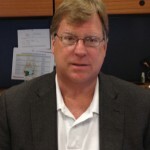 He is a Certified Disaster Recovery Planner (Disaster Recovery Institute) and has numerous professional affiliations, including: executive board member of the Delaware Valley 7×24 Exchange chapter (Former President of 7×24 Exchange International), board member of the Liebert Data Center Users Group, and a member of the Uptime Institute.